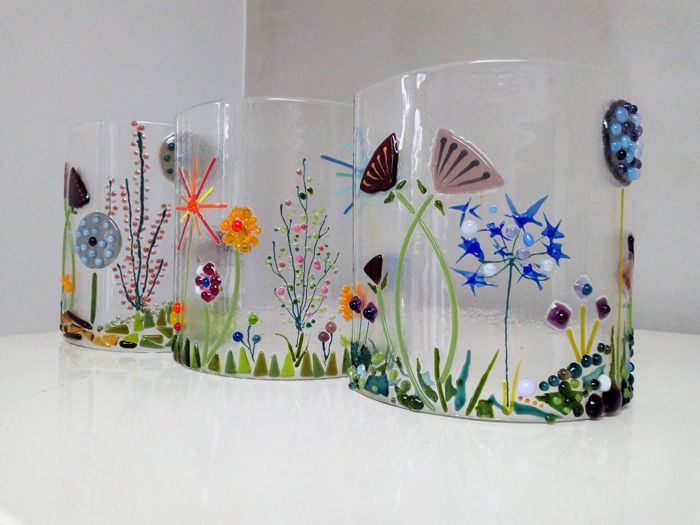 Come and experience the enticing medium of glass in our fused glass taster workshop! 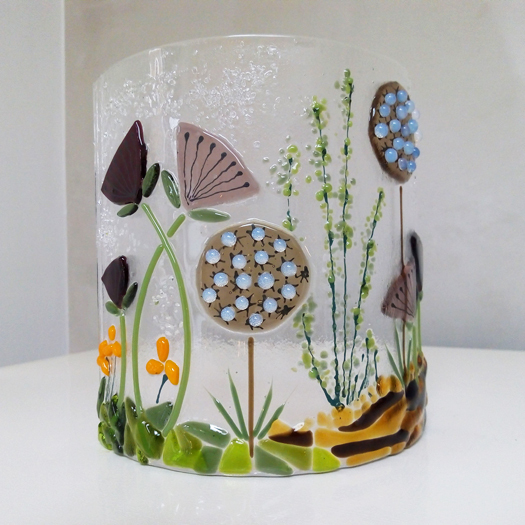 Design and create a fused glass curved panel with a flower design, using pre-cut glass and glass accessories. The panel is made as a flat piece, fired and then slumped into a curve, the end piece is approximately 15cm in height. The freestanding curve looks lovely with a candle or fairy lights behind, on a mantlepiece or window sill with sunlight shining through. All materials are provided and no previous experience is required. 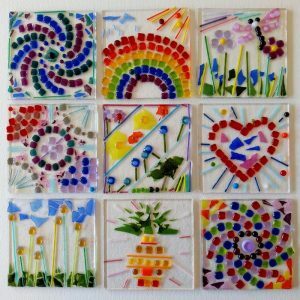 This is a 2 hour workshop for adults. 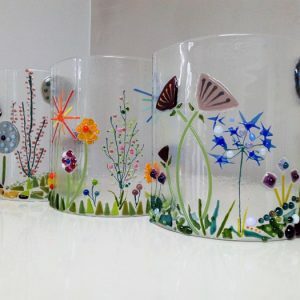 After the workshop your glass piece will be kiln-fired, wrapped and ready to collect from ‘The Flamingo Centre’ 10 days later (Or can be posted to you for a small additional cost).